Buying a vehicle can be a stressful experience. However, that doesn't mean you should take shortcuts to help shorten the process. Here is a list of some of the most common mistakes that even the most seasoned of pros can make when it comes to purchasing a vehicle. Even if you know what kind of car you’d like, you still need to do your homework. 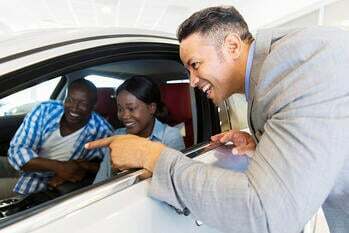 Before going to the dealership, you should know the price range, ratings, and reviews for any vehicles you are interested in. Start by narrowing down the list of brands and then look at price, helping to keep your search organized. This is also the time when you should decide if you want a new or a used vehicle. Car buying isn’t usually an enjoyable experience, but ‘getting it over with’ isn’t a great strategy either. Take your time to think about any vehicles or purchase decision. Don’t let a dealer pressure you into a deal you’ll regret later. There will always be other cars, so there’s no need to make a snap decision. This is an important step to make sure you are both comfortable behind the wheel and the vehicle fits your needs. It’s been recommended that a first time buyer tests out at least 7 different vehicles, while a current owner should try at least 4. Before purchasing a used car, you need to run a background check to make sure it hasn’t been involved in any accidents or other major damage. There’s also the risk of the odometer being manipulated so you end up purchasing a vehicle with many more miles than you thought. Run a CarFax on the vehicle before signing any paperwork. While it’s great idea to walk into a dealership with a budget, focusing on the monthly payment alone may actually cause you to spend more. For example, a salesperson may suggest lengthening the term of your loan so your monthly payment is lower. Sounds great, right? Actually, not so much. The interest rate on a longer loan may cost you hundreds of extra dollars in the end. Check out our online buying tools to find out what you can afford, estimate monthly payments, and search for local cars available for purchase. You can find these tools and more in our auto loan section. For other car buying tips, click HERE. Cyprus Credit Union has some of the lowest rates in the valley. You can apply for an auto loan at one of our branches, online, and our mobile app with same day approval in most cases. We have partnered with dealerships across the state of Utah to make sure you are getting the best deal possible. Just ask your dealer for Cyprus financing at signing.